High Summer is just over a month away! It has been read-a-thon mania this summer. I'm loving it! 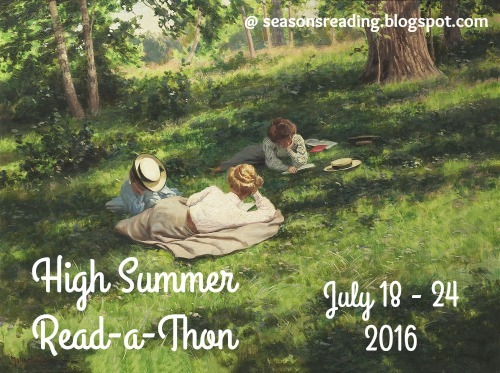 This is the official sign up for the High Summer Read-a-Thon! Dates are July 18 - 24, starting at 12:00am Monday and ending at 11:59pm on Sunday. That's central time (U.S.), but you can adjust your times according to your time zone. Of course, like most read-a-thons, the books read must be novels or novellas, adult or young adult are fine, and you can read children's books too (as long as you do read some novels too). Note: Non-Fiction is also okay! You DO NOT have to participate the entire week. Join in when you can, start in the middle, end early...whatever works best for your schedule. 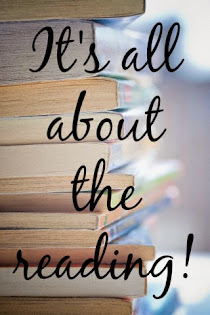 As with all of my read-a-thons, it will be a week of relaxed reading during which we can personally challenge ourselves and whittle away that ever looming TBR. Our hashtag for social media is #HSreadathon ...and we have our wonderful Facebook group that has become quite the social club (there is also an access tab in the menu). Sign up in the linky below. You do not have to do a post now, unless you want to help spread the word (much appreciated). If you don't have a blog, use Facebook, Twitter, Goodreads, Instagram, YouTube. Having a blog is not required. Be sure to grab the button at the top of this post (there's also a grab code below the button in the sidebar). Well, I think Sci-Fi Summer was a true success, and so we will be back again next year! I will now have six official read-a-thons each year...A Winter's Respite, Spring into Horror, SciFi Summer, High Summer, FrightFall, and Christmas Spirit! Exciting! I hope everyone enjoyed this inaugural event and met your goals, and if not that, at least had loads of fun. I'd like to thank you all so much for joining me. Be sure to add your wrap-up link below and please double check that your name is listed in the sign up/starting line linky at this post so you will be eligible for the giveaway. You will also need to fill out the form on the midweek check-in page if you would like to enter (if you haven't already). You have until Friday, June 10 at 11:59pm CST to add your wrap-up link and to fill out the form. I will email the winner within a few days following the deadline so keep a look out in your email inbox (or spam folder, just in case) for an email from truebookaddict AT gmail DOT com. Hope to see you next time at the High Summer Read-a-Thon, coming in July (18 - 24). Sign up coming soon! Good luck in the giveaway to all...and thanks again for joining me! Is it midweek check-in time already? Wow! This week has been so weird. I apologize for not stopping by and visiting everyone yet (although I have interacted a bit in our Facebook group). I am slowly making my way through the linky as of tonight (or this morning, since it's after midnight now). I have not had a chance to read my book choice, Contact by Carl Sagan, but hoping to catch up this weekend. Be sure to leave an update in the comments, or a link to your blog update, or stop by the group, (or Twitter) and update us. I'm giving away your choice of 3 books for $10 from the Bargain Bin at BETTERWORLDBOOKS.COM to one winner. (Please keep in mind these are used books...generally.) They have a great selection and it's one of my favorite places to shop for books because 1) great prices 2) free shipping, even internationally, and 3) because this...."We've re-used or recycled over 216 million pounds of books and raised over $18 million for global literacy and local libraries. Every book you buy or donate expands our collective impact." Win-Win! (This giveaway is open internationally) Fill out the form below if you'd like a chance at the giveaway. 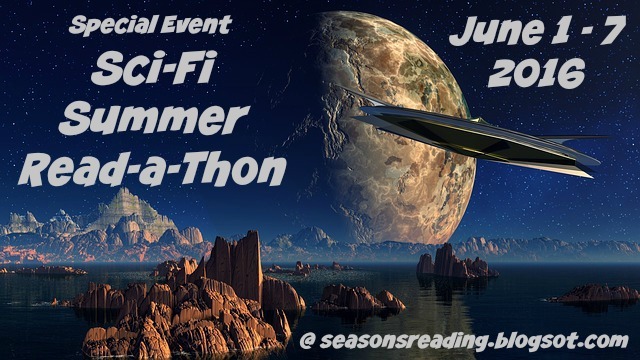 Read-a-Thon dates: Wednesday, June 1 at 12:00am CST until Tuesday, June 7 at 11:59pm CST (adjust your time zone accordingly). I wanted to try out a different day configuration this time. as usual, you do not have to have a blog to participate...feel free to link up and check in from Goodreads, Facebook, Twitter, etc. These days, it seems most of our activity goes on in our Facebook group which I love. The interaction in our group is fabulous! I'm offering one prize this time and I might have another prize donation. I'll let you know when I post the mid-week check in on Saturday. That's it! Good luck and have fun. I'm pretty excited to finally be focusing on some Sci-Fi reading. Long neglected.